I do love this brand, cause they have loads of clothing thats euhm wide in fit. wich works better for me. 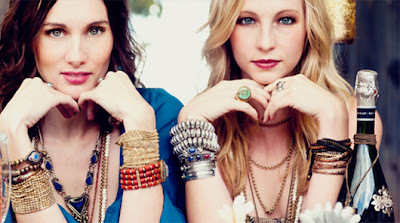 The jewelry is fun to and ofcourse I saw the video as an candice accola fangirl hahaha. I hadn't heard of it before. Quite a unique style. The jewelry looks great! I have absolutely noo idea why they used Christmas music for the video, I agree it doesn't fit, haha. It is quite pricy though, yes!